I wanted to do something special to celebrate 100 episodes of the English with Kirsty podcast. Some people do interviews, or talk about what they’ve learned whilst making the other 99 episodes – but my listeners aren’t here to learn about podcasting! They want to learn English! 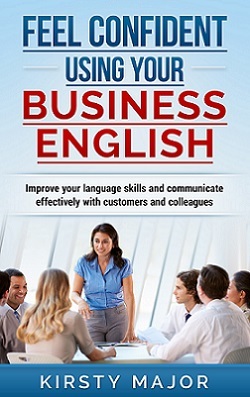 Therefore I decided to put together a resource to help people with their business English. The pdf is a list of 100 resources to help you with your business English. The first 50 are free resources, mainly from my website, which have been sorted into 5categories that are relevant to using English at work. The second half includes 10 Facebook pages, 10 Twitter accounts, 10 blogs, 10 podcasts, and 10 Youtube channels that will help you to improve your language skills. Request your copy of the free pdf “100 resources for improving your business English” by using the form below.